S (Scripture): Psalm 22:6 But I am a worm, not a man; people insult me and despise me. O (Observation): The psalmist feels abandoned by the Lord. The psalmist is faithful, but is being challenged by the current situation. “This statement does not necessarily reflect the enemies’ actual belief, but it does reflect the psalmist’s confession. The psalmist’s enemies sarcastically appeal to God to help him, because he claims to be an object of divine favor. However, they probably doubted the reality of his claim. A (Application): A lot of my friends are having a hard time in the realm of politics these days. And thus, their very faith is affected. 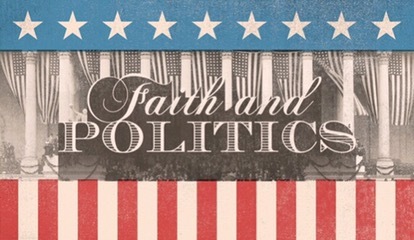 It all ties together – faith and politics. We cannot separate them. And yet, our faith should not dictate our politics, nor should our politics dictate our faith. We can live in a world in which we are challenged by the politics of the day, but that doesn’t mean we must sit by idly if we see injustice. We act, within the realm of the law…and when the law causes injustice, we speak out against it…act out against it. And maybe, just maybe, we make a statement by breaking that law in order to bring about justice. I don’t advocate for stealing or rioting or such, only that we bring justice and fairness to all who roam this earth…that forgiveness and hope and generosity lead the way, so that we might break systems that already broken, in order for them to be re-built for liberty and justice for all. Whatever happens, we trust in the Lord. As followers of Jesus Christ, we will be mocked. We will be misunderstood, but it is not for us to explain the way of the cross. Only God can help someone understand the way of the cross. It looks foolish to the world, but we take up our cross daily, knowing that, in Jesus, the yoke is easy and the burden is light. Rise up. Speak out. Stand with your neighbor in need. P (Prayer): Lord, give me strength. Amen. This entry was posted in Digging Daily and tagged Cross, Faith, Forsaken, Jesus, Mockery, Politics. Bookmark the permalink.